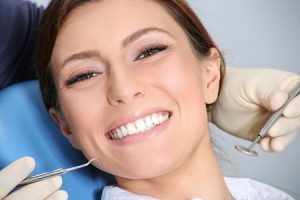 Where can I find a cosmetic dentist in West Chester? Are you considering ways to improve the appearance of your smile? If so, you may benefit from a consultation with a leading Cosmetic dentist in West Chester. At West Chester Dental Smile Center, we can bring out the absolute best in your smile with our comprehensive selection of the latest treatment options. From professional teeth whitening, to orthodontic treatment with Invisalign, and porcelain veneers, our friendly staff will be more than happy to help you find a treatment option that suits your needs, comfort level, and budget. We have helped many patients achieve their aesthetic goals and we are confident we can do the same for you. Don’t hesitate to schedule an appointment at our state-of-the-art facility! Our friendly staff is well prepared for your arrival. At West Chester Dental Smile Center, our patients always come first. From the moment you walk through our doors, until the moment you leave, you can expect to receive the highest levels of individualized attention. We enjoy building relationships with our patients and we take the time to gain a thorough understanding of their unique expectations and concerns. In this way, we can formulate a treatment plan that provides the most cosmetically pleasing and satisfying results. If you are looking for a safe, effective, and quick way to gently touch up the appearance of your smile, our professional whitening treatment may be ideal. Administered in-office or through a convenient take-home kit, our whitening system can brighten your teeth by up to 8 shades. For patients looking to conceal more significant dental imperfections and gain a Hollywood-worthy smile, our porcelain veneers are an excellent choice. Essentially, ultra-thin facings that are bonded over the front surfaces of your teeth, veneers can be used to elevate the beauty of your smile to new heights! As a leading Cosmetic dentist in West Chester, we also offer Invisalign, a discreet alternative to orthodontic care with traditional metal braces that has the benefits of being virtually invisible as well as convenient to wear. For more information on any of our services and to schedule an appointment, call the West Chester Dental Smile Center today. This entry was posted in Cosmetic Dentist and tagged 45069, Cosmetic Dentist, Cosmetic Dentistry, Dental Exam, Dental Office, Dentist, Dentistry, Smile Makeover, West Chester on January 11, 2018 by admin. Are you in need of a West Chester Cosmetic Dentist? A famous commedienne once said: “A smile is a curve that sets everything straight.” West Chester Dental Smile Center is home to a talented West Chester cosmetic dentist performing wondrous dental care to rejuvenate your smile and take years off your appearance. Combining art with the science of dentistry, Dr. James R. Welland and his team deliver dental healthcare results that often surpass the expectations of their patients. Widely regarded as a local leader in reconstructive and cosmetic dentistry, Dr. Welland can address any of your dental needs with the compassionate care you deserve. When it comes to teeth that are misshapen, misaligned, worn down, or missing, our West Chester cosmetic dentist offers leading-edge solutions. Whether you’re looking to gently touch up your smile or you’re in need of a full mouth restoration, your West Chester cosmetic dentist is a consummate professional. Dental veneers are an excellent smile makeover option that allows you to remodel the shape, size, and shade of your teeth, while preserving your natural tooth structure. If you’re looking to correct dental malocclusions and achieve a straighter smile, we also offer some orthodontic solutions including Invisalign. Invisalign, an orthodontic treatment, are clear, removable, plastic aligners, becoming enormously popular in recent years as an alternative to traditional metal braces for image conscious adults and teens. For those looking for a quick, easy, and effective enhancement of their smile’s pearly white quality, we offer a professional whitening service. Striving to provide our patients with flexible dental care, we can administer our whitening treatment in two forms. Our in-office procedure takes as little as an hour to complete and will leave you with teeth that are up to 8 shades brighter, while our customized, take- home kit can be worn day or night to achieve results more gradually – typically over the course of several days to two weeks. That’s only the beginning of what is possible from your West Chester cosmetic dentist. If you’re suffering from missing or damaged teeth, we offer state-of-art restorative treatment options to return your smile to mint condition. For the respect and individualized attention, you deserve from a dental professional, call West Chester Dental Smile Center today to schedule an appointment. This entry was posted in Cosmetic Dentist and tagged 45069, Cosmetic Dentist, Dental Office, Dental Services, Dentist, Dentistry, Implants, Teeth Whitening, Veneers, West Chester on June 11, 2017 by admin. A beautiful smile is an invaluable asset, it can inspire confidence and make you feel proud of who you are. Think of your ideal smile; imagine the bright white symmetry, the way it lights up your face, highlighting your best features. Now imagine that that smile is attainable. Even if your teeth are less than ideal right now, due to genetics, an accident or aging, at West Chester Dental Smile Center, we offer cosmetic dentistry in West Chester, making it possible for you to achieve the smile of your dreams. Cosmetic dentistry addresses a range of concerns, from discoloration to tooth loss. Many cosmetic dental procedures are minimally invasive, like tooth whitening and porcelain veneers. At West Chester Dental Smile Center, your provider of cosmetic dentistry in West Chester, our dentists guarantee the most conservative approach to smile enhancement. Tooth whitening can be performed in just one dental visit for immediate results or more gradually through an at-home method. Porcelain veneers are shells of dental grade porcelain that fit over the fronts of your teeth to correct chips, gaps, discoloration and misalignment. If your tooth is compromised by a large filling, then you may benefit from a dental crown. A crown covers and protects underlying tooth structure, and gives the tooth a natural looking healthy appearance. Crowns can also be used to anchor a dental bridge, a method for replacing missing teeth. Another option for tooth replacement is a dental implant, which is a modern advancement in recreating the look and feel of natural teeth. Cosmetic dentistry offers solutions to all of these concerns and more. If cosmetic dentistry in West Chester seems like the right choice for you, then contact West Chester Dental Smile Center to schedule a consultation. 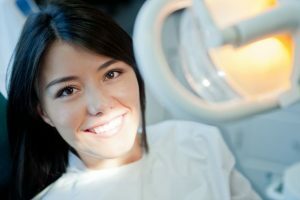 Our dentists will work with you to determine the best course of treatment and hear your questions and concerns. If you think that your smile can be improved, contact West Chester Dental Smile Center today. This entry was posted in Cosmetic Dentist and tagged 45069, Braces, Cosmetic Dentist, Dental Exam, Dental Implants, Dental Office, Dentist, Dentistry, Invisalign, West Chester on November 11, 2016 by admin.